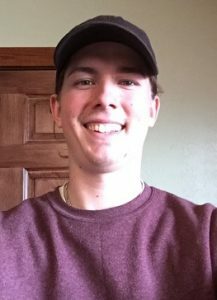 (SWEETWATER) – Devin Klar, 20, of San Antonio is a Wind Energy Technology student at Texas State Technical College. Klar, a 2015 alumnus of Judson High School in Converse, is scheduled to graduate in May with an associate degree. Texas had the most wind turbine service technicians in the nation in 2015 with more than 1,200 workers, according to the U.S. Bureau of Labor Statistics. West Texas and The Woodlands-Sugar Land-Houston area have the largest concentrations of wind energy workers in the state. Wind Energy Technology is offered at TSTC’s campuses in Harlingen and Sweetwater. For more information, go to tstc.edu. This entry was posted in Sweetwater on March 9, 2017 by Daniel Perry.